Online and diaspora activists should be recognised as the important early stages of a revolutionary movement, not a distraction. In a recent African Futures article about the protests that erupted in Sudan this September, Alex de Waal concludes that the "immediate challenge for the opposition is intellectual." In his piece, de Waal contrasts the recent round of protests with the successful 1985 revolution. That comparison of yesterday's revolutionaries with today's activists is both unfair and incomplete. First, by making no reference to the January 2013 New Dawn Charter or the September 2013 Sudan Change Forces communiqué - two documents that detail specific demands and principles for a change, as agreed to by a broad coalition of opposition forces - the pieces's otherwise comprehensive analysis ignores a key dynamic. These documents are not silver bullets, but they do demonstrate a commitment to forging a unified vision for the proverbial "morning after." Second, De Waal critiques the opposition's "tendency to learn lessons from abroad rather than analysing conditions at home." He suggests they are "borrowing and applying a script derived from a particular narrative of the Arab Spring or even [my organisation] the Enough Project." 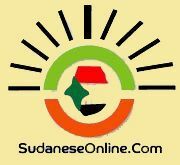 Increasingly, Sudanese are also emphasising the similarities between the struggle on the country's margins and the situation in the centre. For example, through the work of citizen journalists like 3ayin whose compelling videos highlight violence in South Kordofan and Darfur, information about government attacks on civilians in the periphery has begun to trickle into Khartoum too. This is a huge intellectual victory, no matter whose "script" it is. In his piece, de Waal also questions the opposition's perceived proximity to the country's armed groups. This, he says, undermines activists' non-violent protests. But at the same time, de Waal warns that there us "virtually no political coordination between the SRF and civic opposition in Khartoum." Bringing an end to the wars inflaming the periphery through dialogue will be a central element of any comprehensive solution. Through the drafting of the New Dawn Charter, some in civil society have already come together with the Sudan Revolutionary Front. Going forwards, facilitating more avenues for discussing this document, which remains a work in progress, will be critical. Finally, de Waal turns his attention to the Twitter and smartphone set. His piece suggests that that too much of the social media conversation about Sudan has been in English or French or if in Arabic then "aimed at an external audience." But, since many activists have benefited from a cosmopolitan education, it is unsurprising that their commentary is multilingual. De Waal's reading, which skewers the languages in which social media activists they choose to express themselves, seems to imply that using English or French makes someone less authentically embedded in Sudan. In our increasingly interconnected world, it's short sighted to put up walls between communities of engaged citizens. Sudanese activists who have been using their social media presence to raise awareness and spur discussion, already understand this. De Waal's assessment that the opposition in Sudan suffers from a lack of organisation and cohesion is a correct one. His piece offers important insights into the role that Islamists play in the Sudanese polity. However, in idealising Khatim Adlan and the National Alliance for National Salvation, de Waal fails to recognise their 21st century reincarnations. A quarter of a century after the 1985 revolution, dynamics have changed, as have technologies. While social media and smartphones cannot reach everyone in Sudan, it would be a mistake to play down their power. When the Sudanese government shut down the internet during the September demonstrations, for example, protesters found ways to keep working using Ushahidi crisis mapping tools and other workarounds. The five day hunger strike in late October, dubbed #Strike4Sudan, drew international attention to those in still in detention. Survivors such as Rania Mamoun and Amjad Farid have become hubs of organisational energy. Now, instead of organising around funerals of martyrs, Sudanese activists are standing behind one another. Observers waiting to see protesters dramatically steal CNN headlines with an Egyptian style revolution are looking for the wrong thing. Sudanese live in one of the most restricted environments in the world. The government successfully controls the narrative by targeting journalists and shutting down newspapers and television stations with impunity. In an amazing show of duplicity, after least 210 people were killed in state security forces' violent suppression of the protests following the government announcement that fuel subsidies would be cut on 22 September, the Sudanese government tried to pin the violence on the country's armed opposition. Sudan is not going to have a Tahrir Square moment where millions occupy Khartoum's city centre for days. That does not mean a revolution is not brewing. Notwithstanding de Waal's assessment, Sudanese activists are doing much more than just waiting for a "fortuitous alignment of the stars" to deliver them to power. But they need international support to help pry open political space for dialogue and discussion. The website Al Rakoba already hosts vibrant debates and Radio Dabanga offers unparalleled coverage of Darfur. But in our consultations with Sudanese, one thing comes up repeatedly: more independent media platforms are necessary. Promoting increased access to innovative 21st century tools should be at the centrepiece of our strategy. Google's new Project Shield, which offers sites serving media, elections and human rights related content sophisticated protection from cyber attack, could help Sudanese NGOs and media houses maintain the integrity of their online platforms. Mobile Martus gives smartphone users the power to quickly send encrypted photos or videos to a desktop anywhere in the world, immediately deleting all trace of the material on their phones. By allowing advocates to avoid detection while preserving and publishing their data securely, these types of technologies could fundamentally alter the power imbalance in Sudan. De Waal worries that the Sudanese government will "turn social media against its practitioners." However, tools like Silent Circle even allow the average person to communicate securely using cryptography, preventing others from intercepting communications for $10/month. Meanwhile Google's new UProxy system creates peer-to-peer gateways for secure browsing, making it easier for those planning and coordinating to organise themselves without infiltration. The Sudanese diaspora should be encouraged to support the opposition too. With UProxy, someone in London can lend their internet connection to a friend or loved one in Sudan, adding an extra wall of protection. While it may not be a perfect solution, increased training on and access to 21st century tools could offer desperately needed protection to Sudanese activists. Many are now working online to raise awareness, spark debate and build organisational capacity to confront the regime. Alex de Waal, and others who care about Sudan, should see online activists for what they are - a necessary first step for change - and get behind them. Akshaya Kumar is the Sudan and South Sudan Policy Analyst at the Enough Project, an initiative of the Centre for American Progress.